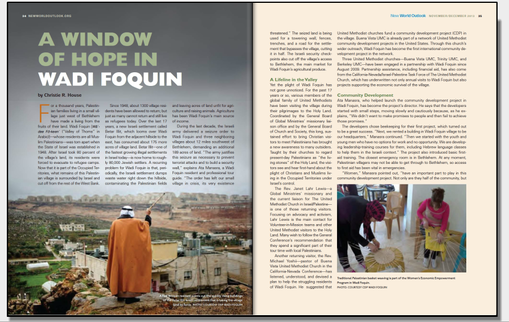 Check out the New World Outlook magazine, featuring Wadi Foquin on page 34. You can find it in digital edition here: http://digital.olivesoftware.com/Olive/ODE/NewWorldOutlook/. Sandwiched between the Apartheid Wall and the illegal Jewish squatter colony of Beitar Illit in the occupied West Bank, the Palestinian village of Wadi Fuqeen has been at the receiving end of Israel’s sewage war, which is causing terrible damage to crops and poisoning the land, and has been told that it must close its only recreational park. As if that were not enough, the Israeli occupiers have escalated their harassment of the villagers by issuing demolition orders to farmers – the thieves instructing the rightful owners to destroy their own property. 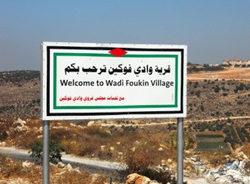 Israeli occupation forces notified the Wadi Fukin village council, west of Bethlehem, to stop construction on a park that it has recently begun establishing. PNN reporter said that the notice to stop construction in the park came under the pretext of building without a license and that the park is in an area under Israeli control. 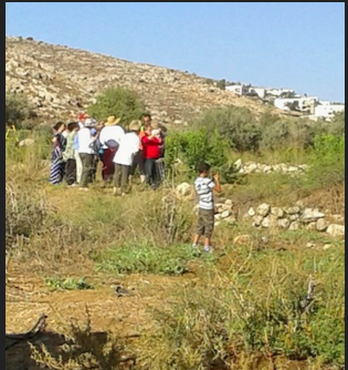 Editor Sewage from the illegal Jewish settlement of Beitar Illit has again been flowing on to farmers’ fields in the Palestinian village of Wadi Fuqeen, near Bethlehem, causing terrible damage to crops and poisoning the land. For two days now, raw sewage has poured on to large areas of farmland in Wadi Fuqeen. 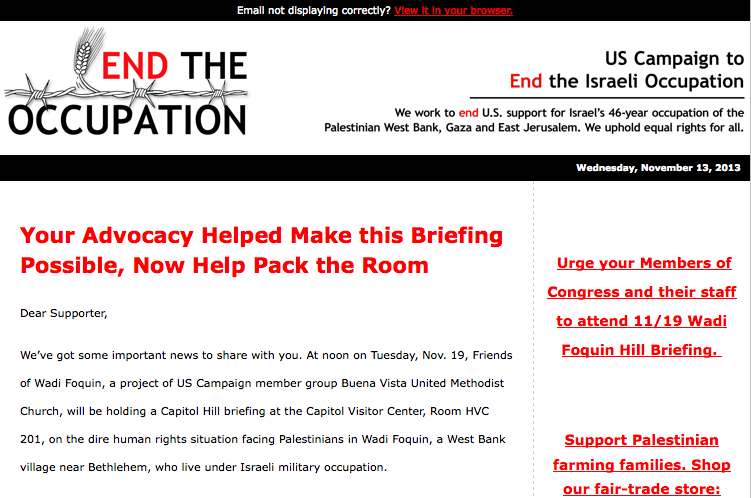 Regular and longstanding members of the British-based Friends of Wadi Fuqeen group will have heard about this issue many times before. However, on 28 September they received some photographs that give an idea of just how serious the problem is.